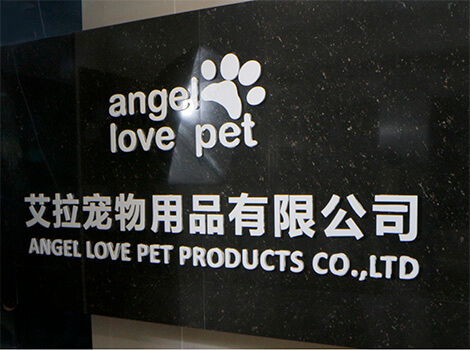 Angel Love Pet Products Co., Ltd.has been focusing on the design and production of pet products since 2007.Our factory mainly produces pet beds, pet cushions and houses, dog clothes,pet toys, cat scratch trees.OEM and ODM are always welcome. We also deal with a wide range of pet accessories, like pet toys, dog leads & collars, pet brush, pet bowls & mats, As we have many good pet accessories suppliers in our near area, so our factory can combine different pet accessories items into gift packing set. We have extensive experience in OEM production. Our products are mainly sold in supermarkets and pet stores as well as pet chain stores. We also offer many daily items to most pet lovers. We also protect them very well for the design copyright of our customers. In order to protect our customers' privacy, we do not make inventory for our customers' brands. Welcome to visit us to learn more about us.